Here you can view John's online CV, read up-to-date info on what he's doing as well as find details of how to get in contact with him! E-mail links above are provided for John's agents, or alternatively to drop him a line directly! There's also a new voice clip section where you can sample some of the recordings he has done. Plus a live Twitter feed! John is delighted to currently be in two fantastic animated series. He is the voice of Thomas in Thomas and Friends. He is also appearing in the new show on CBeebies called Go Jetters as the voice of Foz. Both of these shows are still currently being recorded. 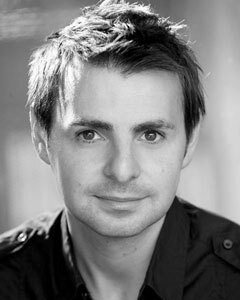 John has been a member of the cast of both the touring and the west end productions of Disney's The Lion King in the role of Timon! He spent two years with the tour from the original cast and then was in the role at the Lyceum Theatre in London where he got to perform at the 15th anniversary gala performance. He is providing the voice for James and new firefighter Arthur in the new series of Fireman Sam for Hit! Entertainment, which can be seen on Cartoonito and now on CITV. The new movie Fireman Sam: Alien Alert! is out now. He is the voice for Gargoyle in Mike the Knight also for Hit! Entertainment, which is airing now on CBeebies. He has recorded the role of Toot in the series of Toot the Tiny Tug for Lupus Films, now on Milkshake on Channel 5. John has recorded an exciting 52 episode animated series called Teenage FairyTale Dropouts, this fantastic new cartoon is an international co-production and should be hitting your screens soon. John has filmed the role of Irving in the film 10 Arenas of Marwood. He has provided the voice of The Boy in the English version of the animated film Tales of the Night directed by Michel Ocelot. It was featured at the BFI London Film Festival in October 2012. Recent voice work includes a TV ad campaigns for Daily Mirror/Toy Story 3, Starburst & Wall's Ice Cream. He has also provided voices for the feature films Brave, Cloud Atlas, Byzantium, Tinker, Tailor, Soldier, Spy and Arthur Christmas. He has also recorded ADR for the new series of Game of Thrones. He has recorded a newscaster voice-over for the Noel Clarke film Storage 24. John's character voices are currently airing in Series 1 and 2 of CBeebies Get Squiggling as well as the new spin-off series Get Squiggling Letters. He can also currently be heard on Series 1 of Chiro, airing as part of Five's Milkshake. He has recorded roles in the films High School Musical Mexico and Argentina, as well as in Wicky the Mighty Viking and Wicky 2. An audiobook of Grow Up read by John, written by Ben Brooks, is on sale and available now as a digital download. He has recently read The Cornerstone by Nick Spalding which is also now available to buy.